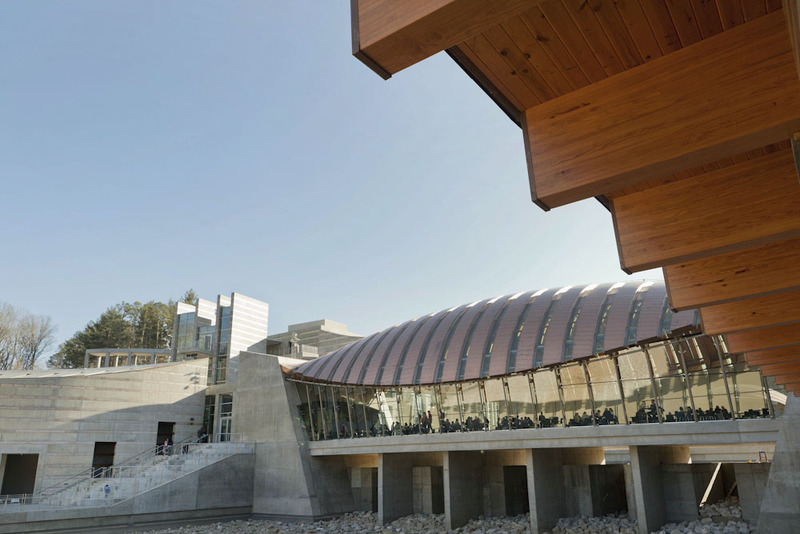 A few weeks ago, I was assigned to travel to Bentonville, AR to photograph the newly opened Crystal Bridges Museum of American Art for The New York Times. I had heard some things about this Museum largely because there was a story behind the person who had donated a large chuck of the money to get the Museum started. 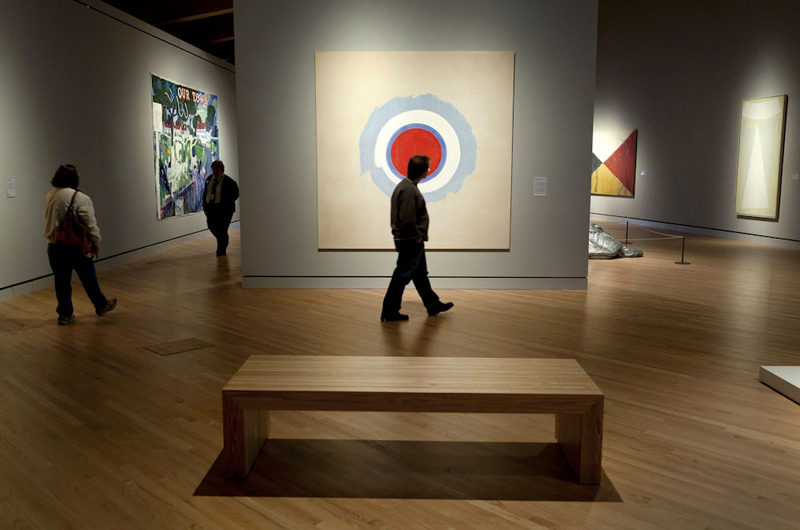 The Museum was the dream of Alice Walton, a Walmart heir. 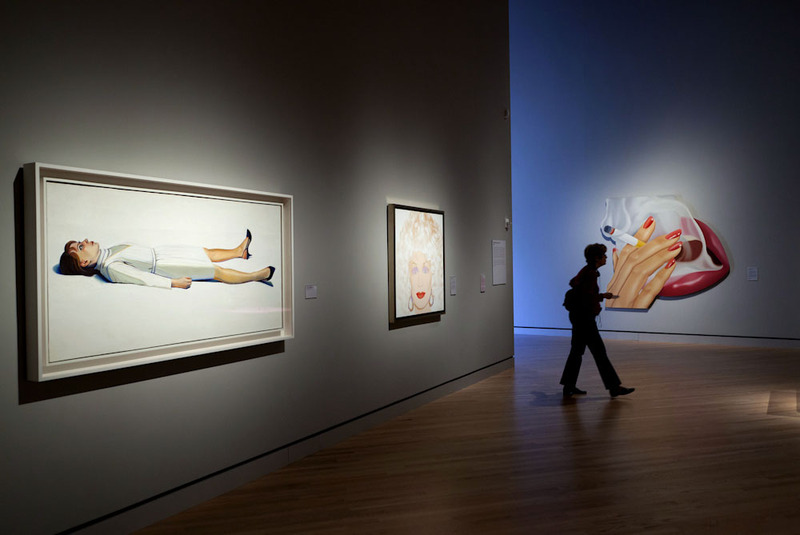 Here is a link to the story by Times writer Roberta Smith, who visited the Museum before I did. There is a slide show of some of my images there too. Roberta’s story goes into a lot of detail about the collection and the buildings so I’ll spare you my bad writing. 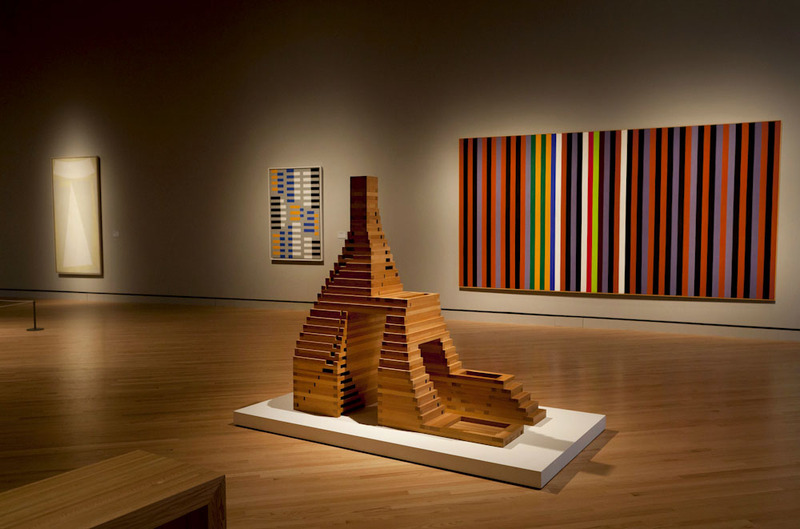 The Museum is an impressive set of buildings with an equally impressive art collection and is worth traveling to visit if this is your cup of tea. 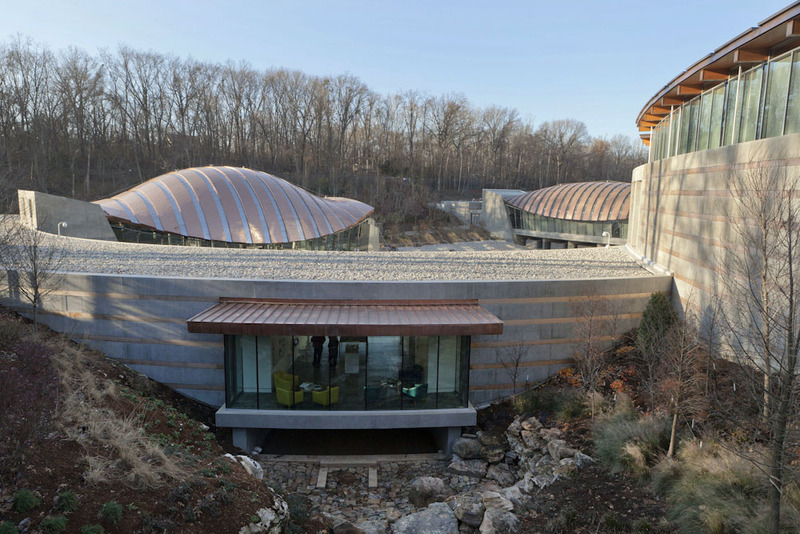 The buildings, designed by Moshe Safdie, are nestled into a wooded valley in the quaint northwest Arkansas town. The buildings are something to see and at some point in the very near future there will be large ponds of water in between the interestingly shaped buildings. The exterior photos will really be remarkable then. When I visited the Museum, the ponds had been drained leaving the exterior images not as impressive as they will be once they are filled. As always I have tons of photographs that never make it to the paper so I am trying to be diligent about posting them here for folks to see. Here is a collection of images from the day. I look forward to traveling down to Bentonville with Sarah and Evy in the future. It would make a great day trip or even better over night trip. Bentonville seems very quaint with lots of charm and mountain bike trails seem to abound in the area. I spotted what looked like some good twisty single track in a neighborhood near the Museum! 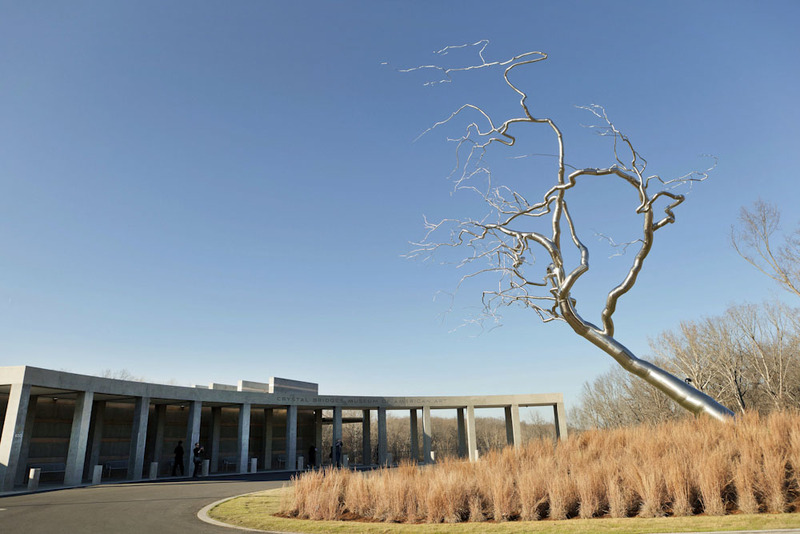 As art patrons visit the new Crystal Bridges Museum of American Art in Bentonville they will see an instillation by artist Roxy Paine. 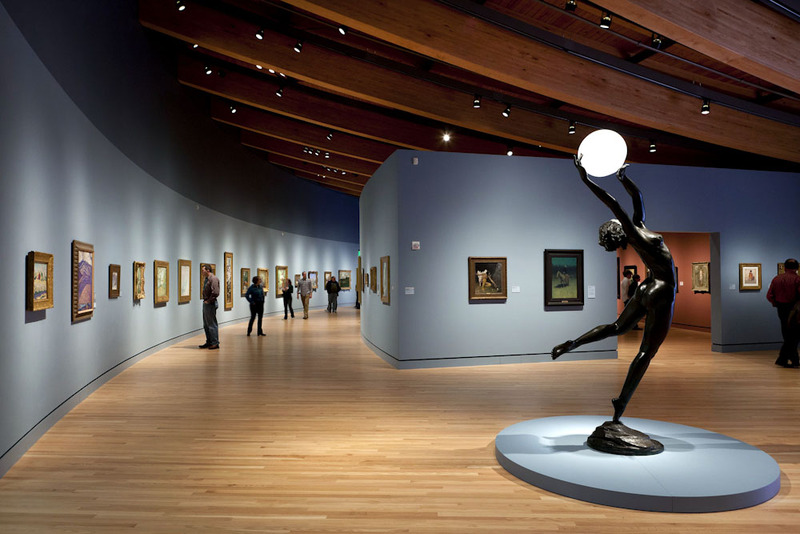 The Crystal Bridges Museum of American Art opened last month and now visitors are coming to Bentonville, AR to view the large collection of art. 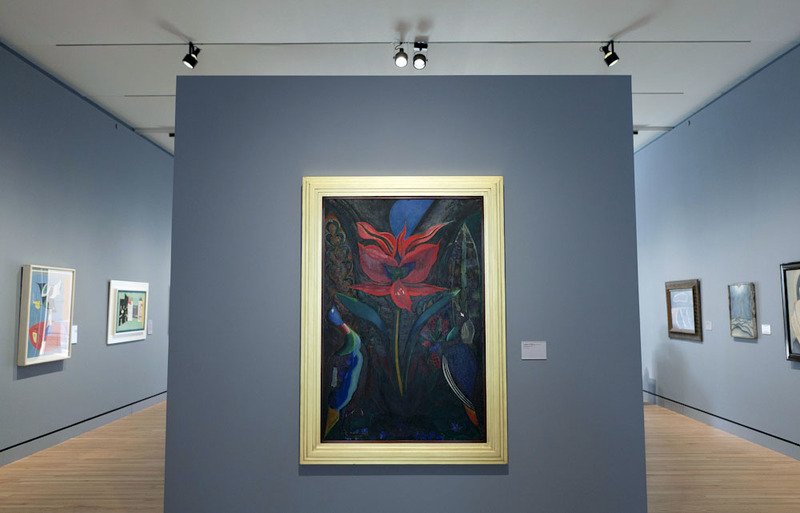 Joseph Stella’s “Red Flower”, circa 1929, in gallery five. 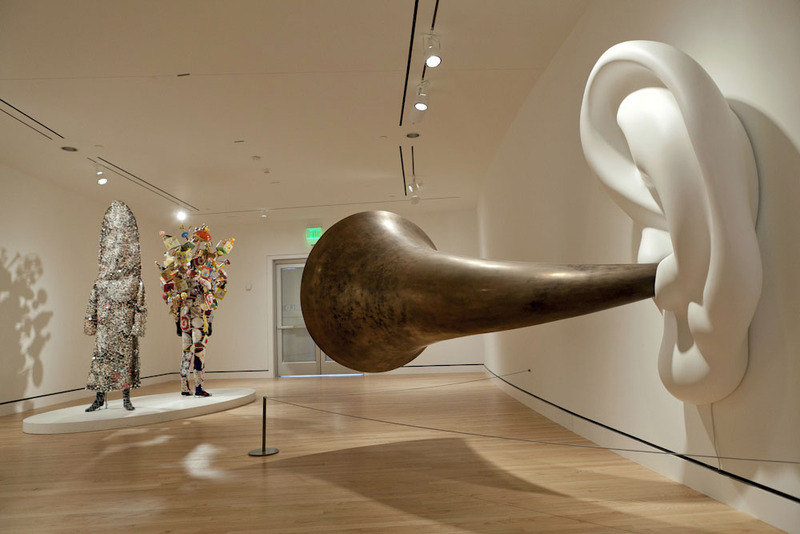 John Baldessari’s “Beethoven’s Trumpet (With Ear), Opus #132 Reverse”(left), circa 2007, and Nick Cave’s “Soundsuit”, circa 2010. 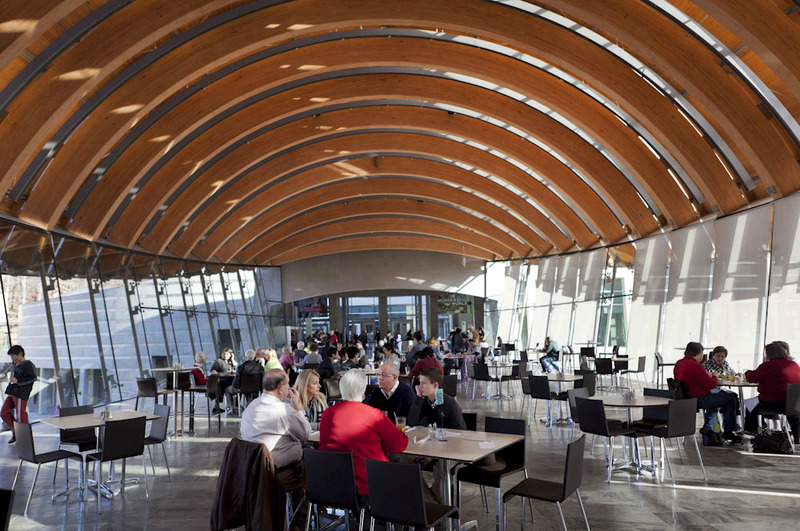 Visitors can eat lunch in one of the buildings at the Museum. 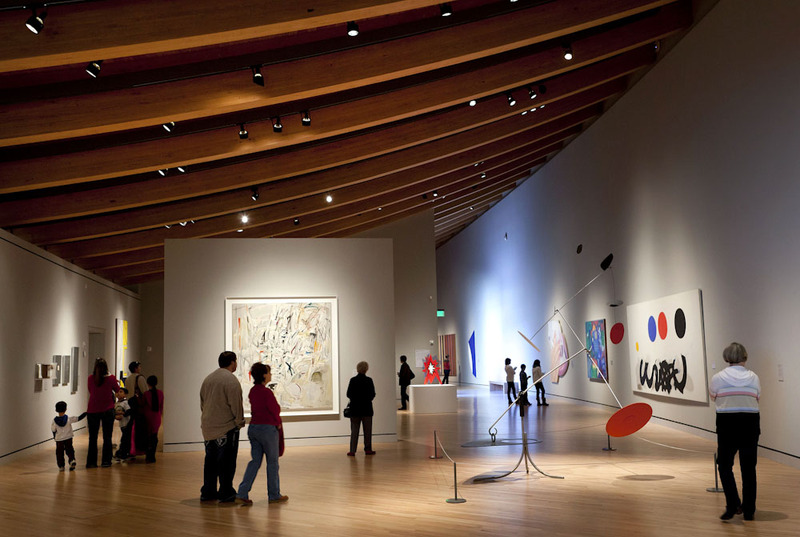 Gallery six is home to more contemporary art including a painted sheet metal piece from artist Alexander Calder, circa 1968. 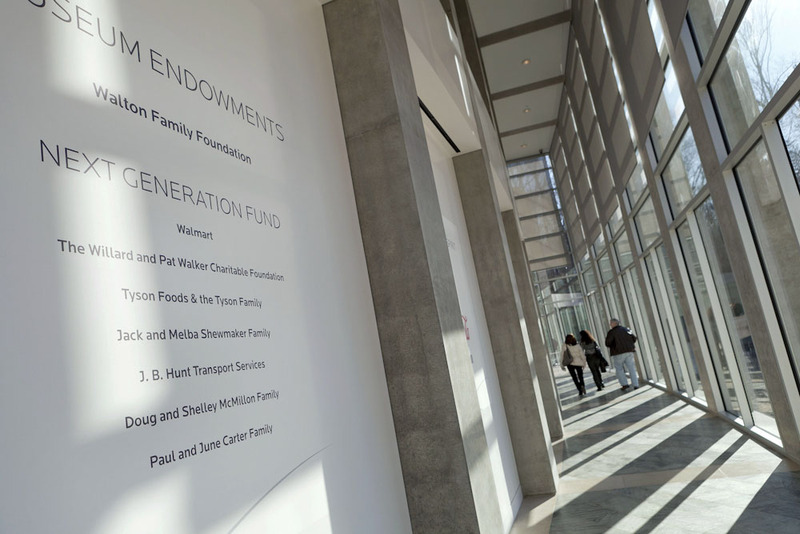 The Walton Family Foundation is a donor to the Museum. 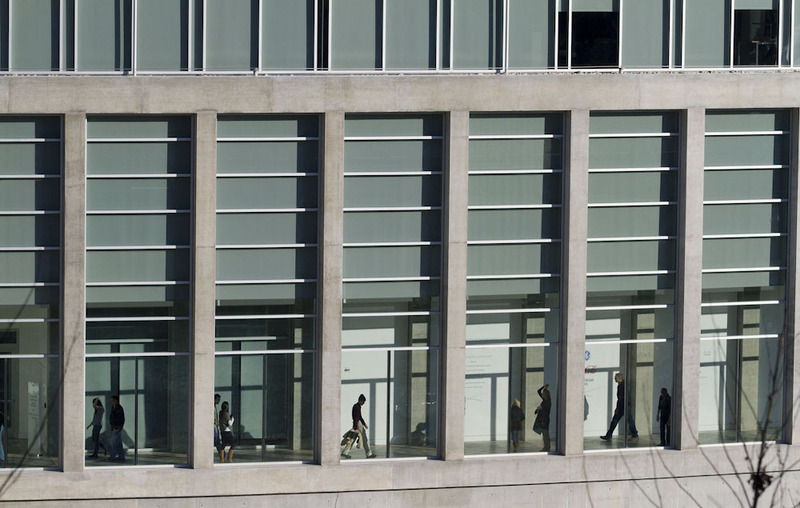 Patrons make their way through the Museum’s hallways. 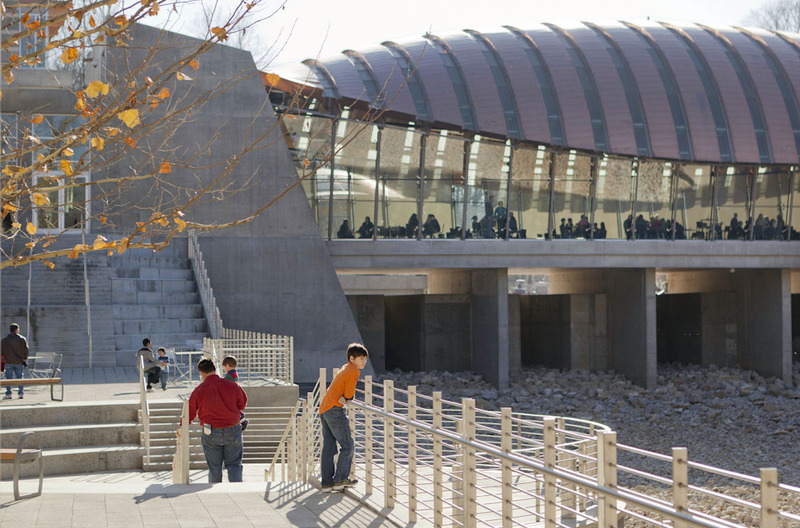 The Museum is made up of a collection of buildings and is nestled into a wooded ravine in Bentonville. The ponds of water will be refilled soon which will change the appearance of the Museum. 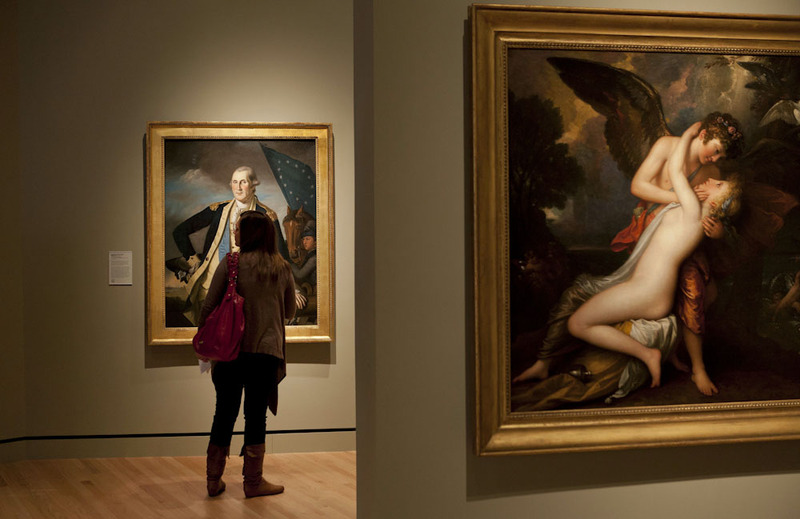 Art patrons take a look at Charles Willson Peale’s “George Washington”, circa 1780-1782, on display in galley two. George Washington posed seven times for Peale. 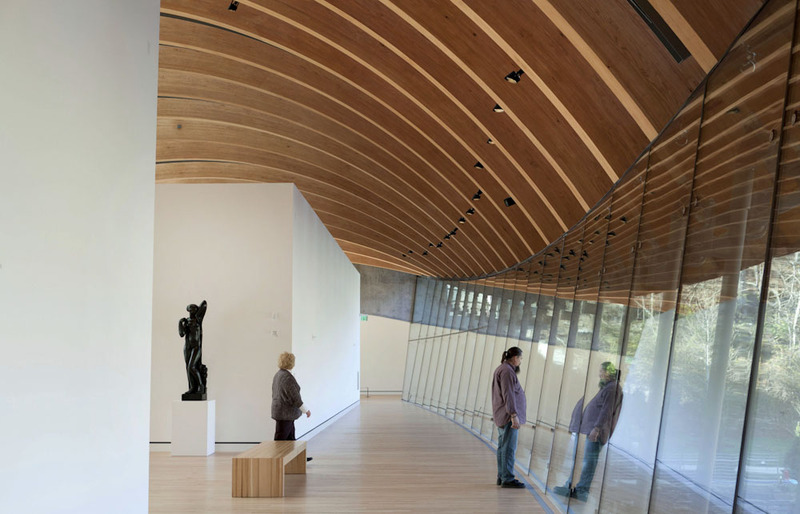 The curved walls and ceilings are visible throughout the whole Museum. This is galley three. 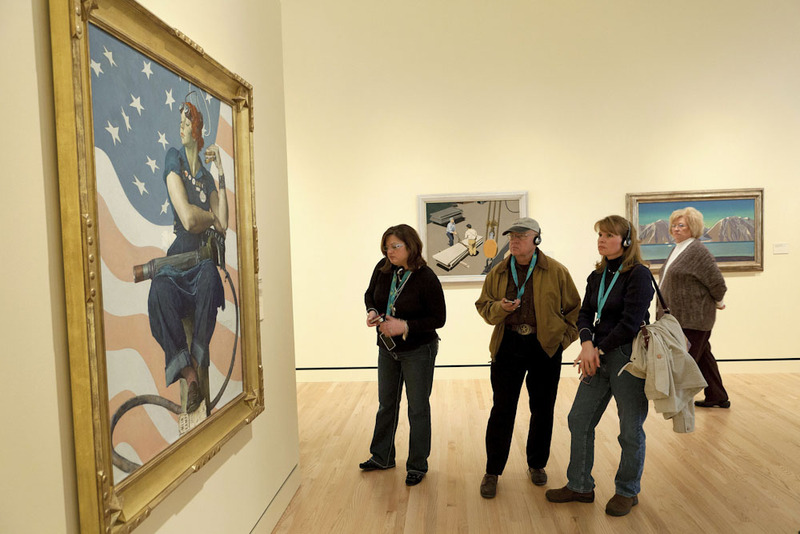 An art patron favorite, Artist Norman Rockwell’s painting “Rosie the Riveter”, circa 1943. 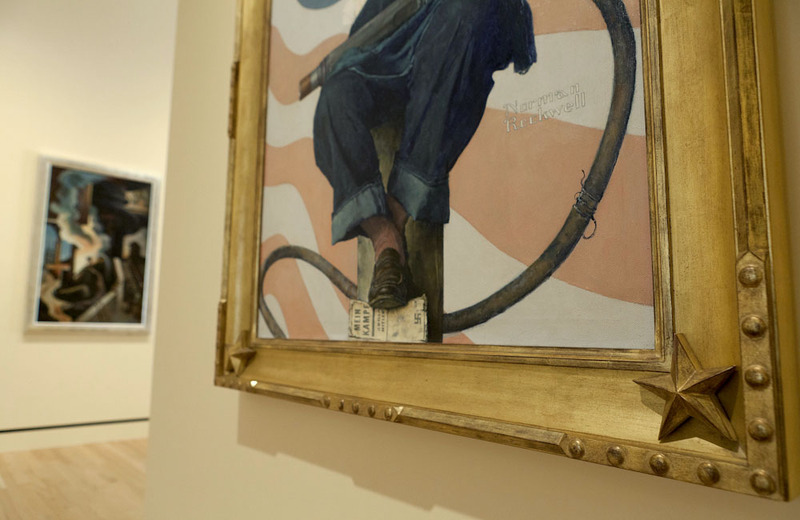 The detail on the frame of Artist Norman Rockwell’s painting “Rosie the Riveter” is amazing. 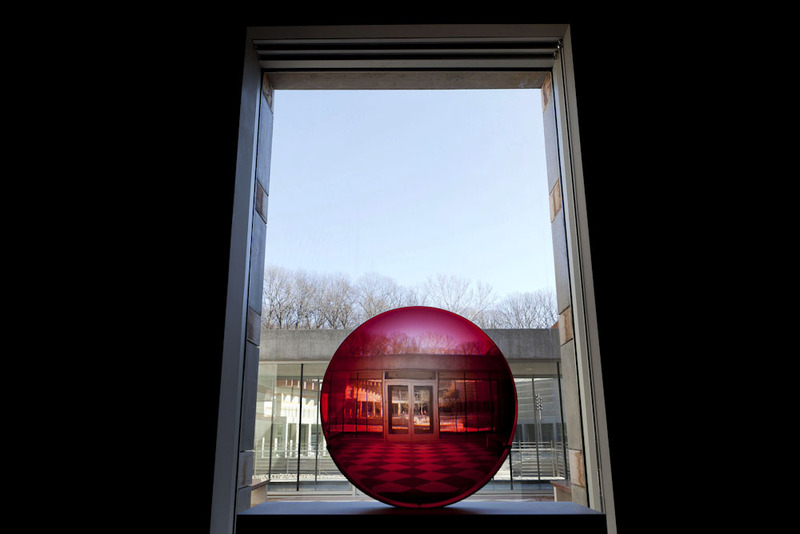 Frederick Eversley’s “Big Red Lens”, circa 1985, in gallery six. 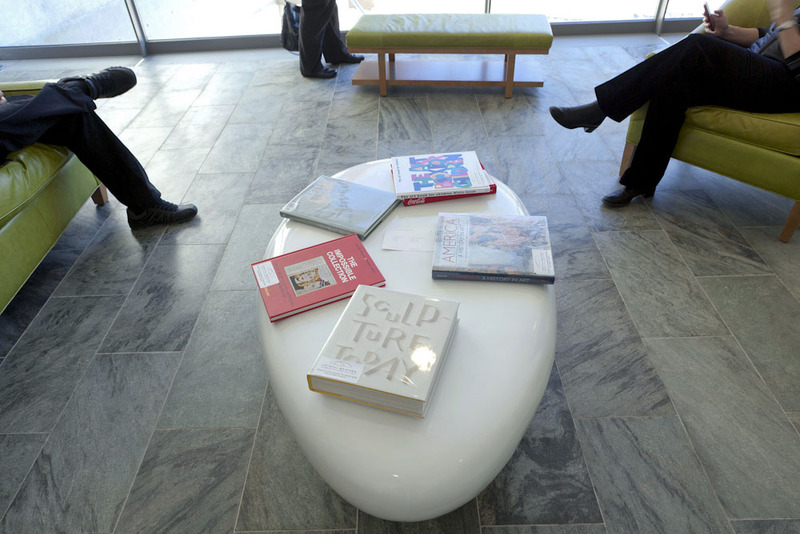 Throughout the Museum there are “reflection areas” set up where visitors can take a break and look through art books and museum information on iPad’s on the walls. 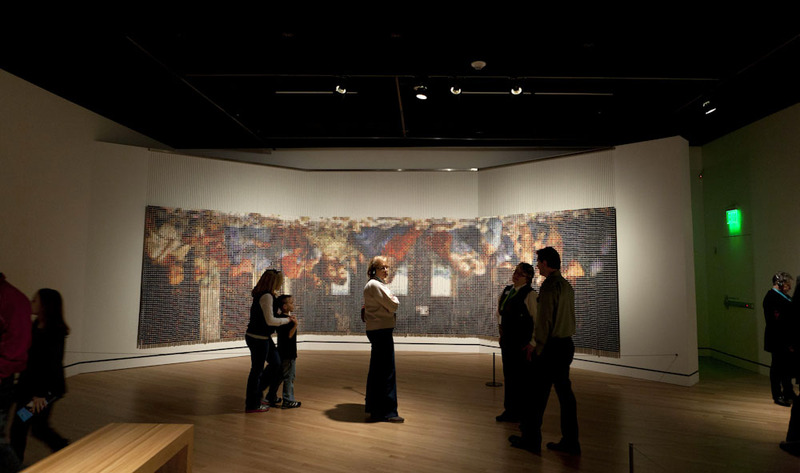 Devorah Sperber’s “After The Last Supper”, circa 2005, in the Wonder World exhibit. 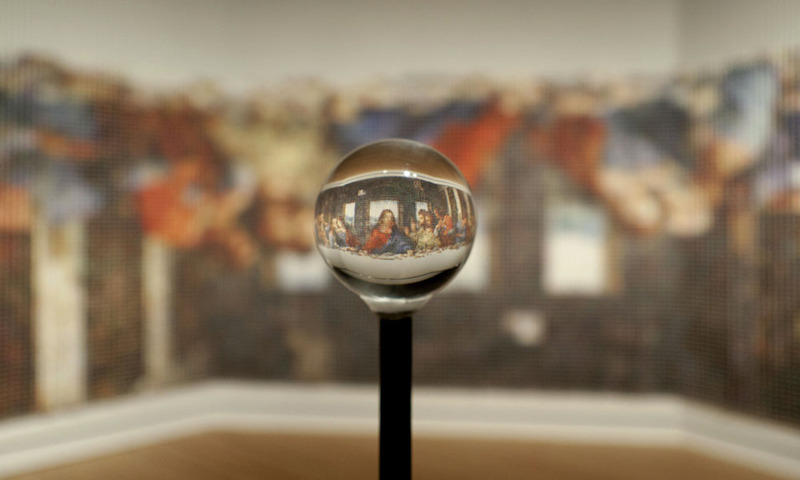 The “After The Last Supper” piece is described as being made of 20,736 threaded spools, hanging apparatus, ball chain, viewing sphere and stand. 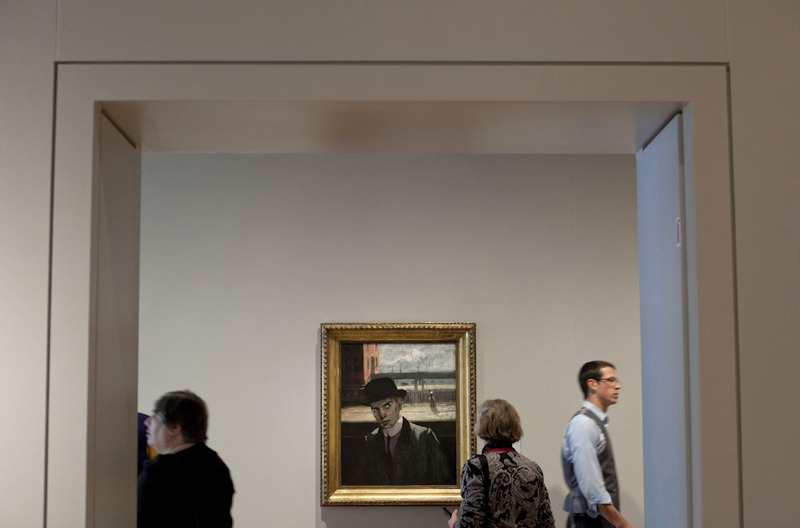 Stuart Davis’ “Self-Portrait”, circa 1912, on display. 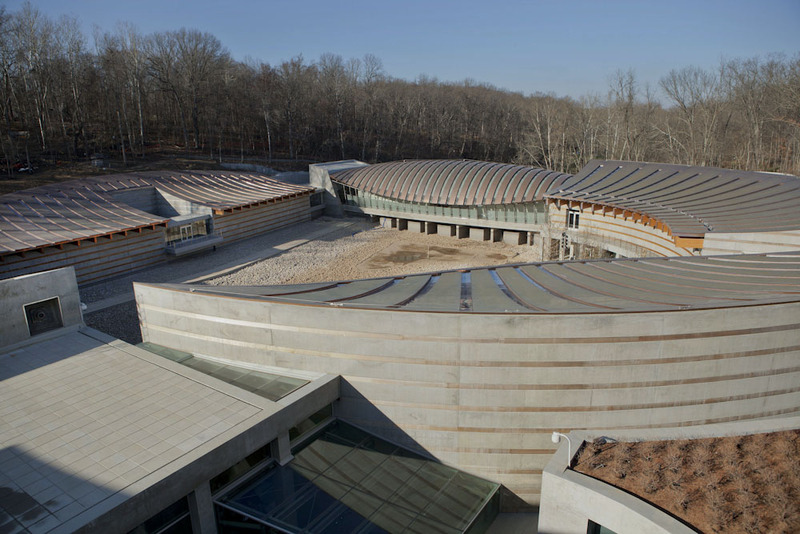 Architect Moshe Sofdie designed the Crystal Bridges Museum of American Art in Bentonville, AR.